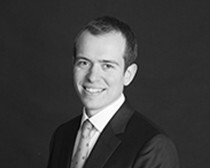 Adam D. Gold practices corporate and commercial litigation with a focus on litigation relating to M&A transactions, contractual disputes, shareholder derivative demands, statutory appraisal, proxy contests, allegations of breach of fiduciary duty against directors and officers, and other matters of corporate governance. Before joining the firm, Adam was an attorney at Wachtell, Lipton, Rosen & Katz in New York, where he represented corporations and directors in complex corporate, commercial and transactional litigation and regulatory investigative proceedings. During his time at WLRK, Adam appeared in a number of significant cases in the Delaware Court of Chancery, including as a member of the team that tried one of the largest appraisal actions in the Court to date in In re Appraisal of PetSmart, Inc., C.A. No. 10782-VCS, and as a member of the team that successfully defeated an attempt to enjoin the use of a shareholder rights plan in response to an activist proxy fight in Third Point LLC v. Ruprecht, C.A. No. 9469-VCP. Adam began his legal career as a law clerk for Vice Chancellor Donald F. Parsons, Jr. in the Delaware Court of Chancery.